The personal portfolio site of Ben Kawaichi, UI/UX designer and problem solver. 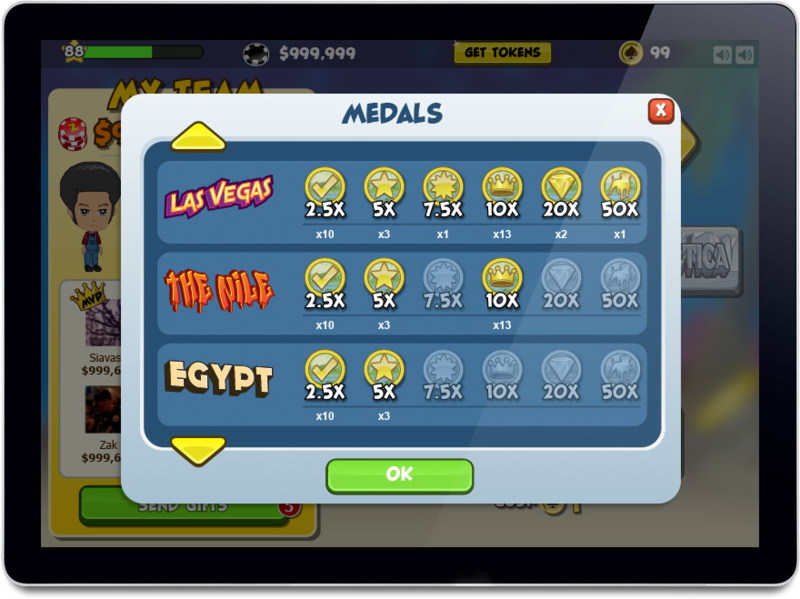 I specialize in social game user interface and experiences and I have designed and managed UI/UX for games including FarmVille 2, FarmVille English Countryside, Poker Blitz, and Zynga Poker. I always stick to a few key principles when I design experiences. Compared to its predecessor, FarmVille 2 was a quantum leap forward. I was tabbed to lead UI/UX and helped develop deeper game mechanics, revamped interaction models, and a cleaner, more delightful experience. I also built and developed a large team of UI/UX designers. 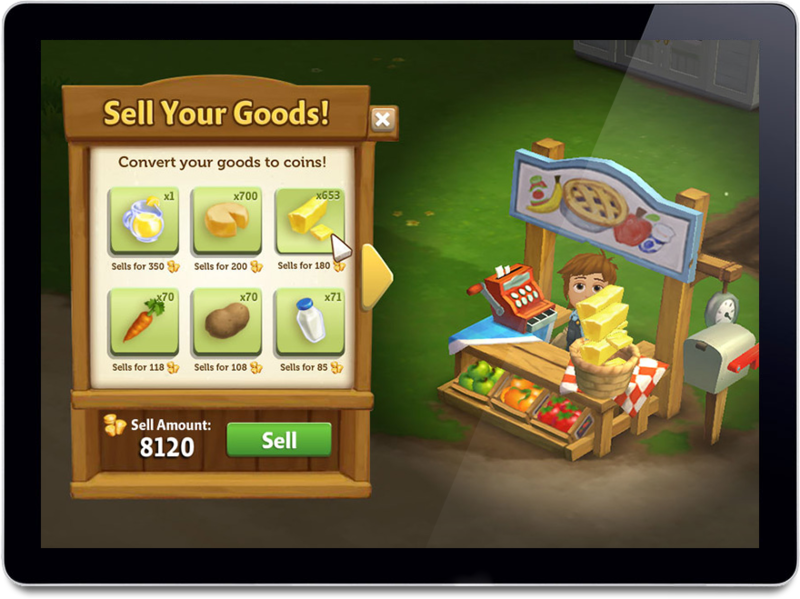 FarmVille 2 quickly became the #1 Facebook game and Zynga's top revenue source. With a farm this beautiful, you don't want UI getting in the way. The crafting system was complex; the UI kept it nice and simple. The General Store contains a wealth of information, prioritized and streamlined. Selling items is visceral and fun; items fly into the basket as you add them. Great care was taken to make interacting with objects a pleasure instead of a chore. 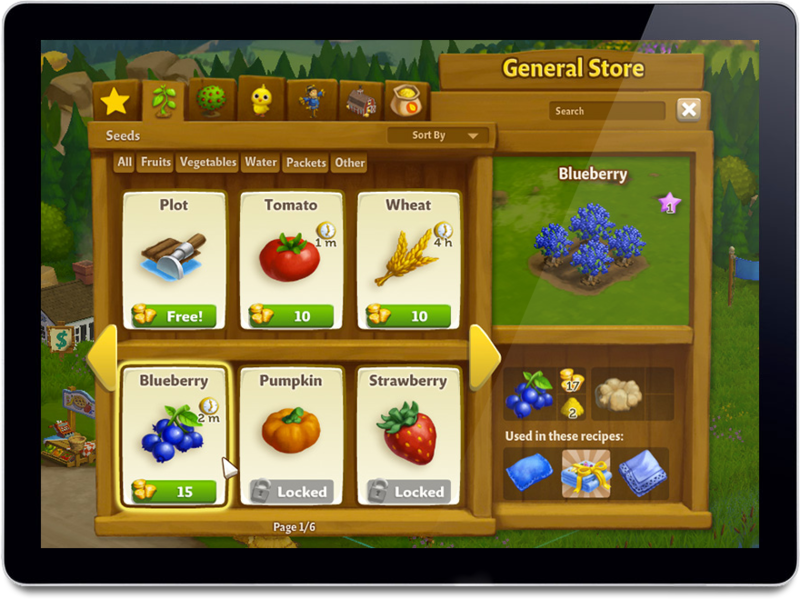 English Countryside was FarmVille's biggest and most ambitious project. It introduced an entirely new farm to users, with deep fiction and new gameplay, including a sophisticated new breeding mechanic. I oversaw all UI as well as help develop features and mechanics. Both the expansion model and the breeding mechanic were so successful that they largely defined the business strategy from that point on. Teaser image created for GDC, extolling the virtues of English Countryside. Users tracked their progress on a social map that also surfaced rewards. Sheep breeders could see potential offspring, even without a deterministic system. Progress unlocked new patterns, which fed users back into the breeding game. English Countryside was a big event—it even got a massive banner in Times Square! 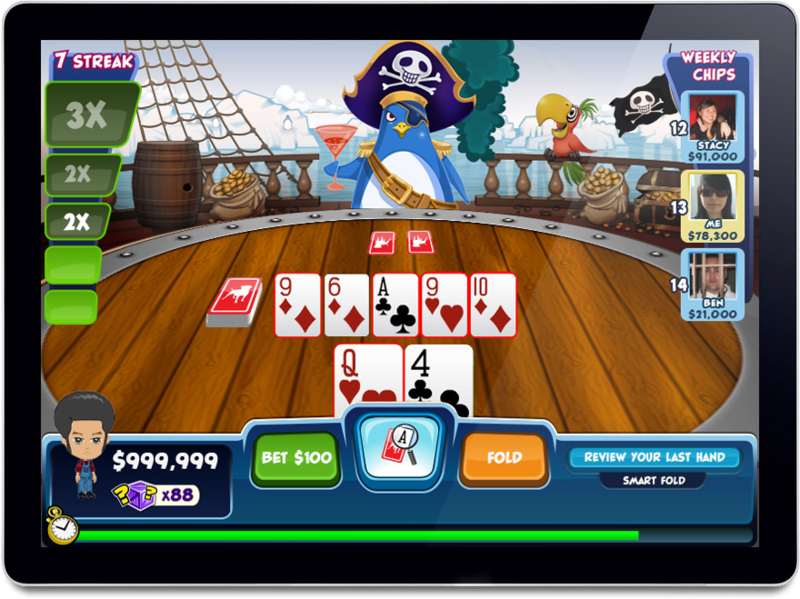 Poker Blitz was a spinoff from Zynga's popular Poker app. It was designed as a low-pressure, arcade-style single-player experience: our target demographic tended to shy away from interpersonal competition. With boss battles, powerups and collaborative social mechanics, Poker Blitz was aimed squarely at the more casual player. Poker Blitz aimed to make poker less intimidating for more casual audiences. Branding was zany and fun, to counter the slick seriousness of Zynga Poker. Every stage had a unique boss and variations in gameplay. The Pirate Penguin was a fearsome opponent indeed. The metagame was important for driving reengagement.